From the Mistral Suite you are encouraged into the garden by the sound of water falling gently from the glass orb into the well below. Then the garden wraps you in its arms, providing safety, comfort and peace. 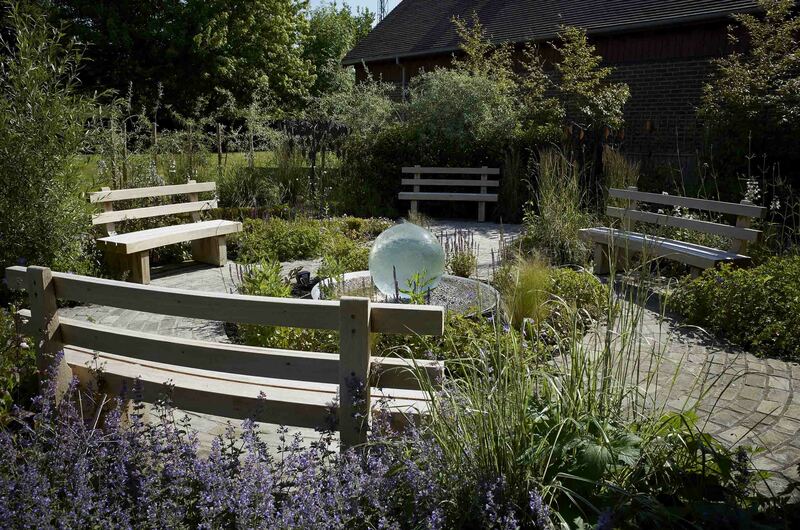 For families returning to the hospice after the death of their child the garden is an oasis of calm where they can spend time being near to the memory of their child, which is essential for their personal healing and grief. The Memory Tree provides a focal point for special days and anniversaries. The families know that there will be a permanent memorial of their child here. 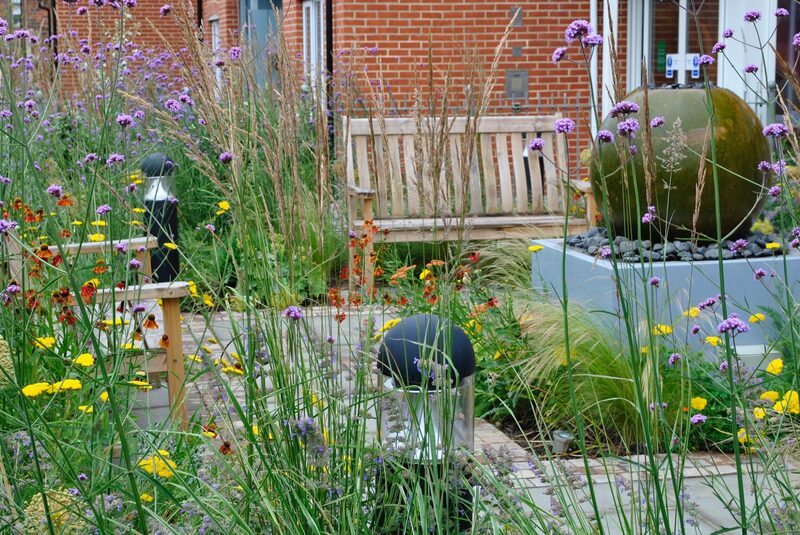 The garden now plays a main part in our annual Remembering Day. The families whose have a child who died in the previous year, will be invited to hang a leaf in memory of their child on the Memory Tree. After spending some time talking with staff who knew their child and other family members, they will leave the garden in the knowledge that their child’s memory will continue to be cared for by Shooting Star Chase.